Immersioni in Djerba è un'avventura unica! Abdelaziz AISSINE, called Aziz, was born in Djerba in 1976. Son of a fisherman and sponge diver, he practiced snorkeling his childhood dice. For those who will meet you soon realize that it is more comfortable under water, in his wonderful and soothing universe, on his island, yet so beautiful. Since his youth, his dream was to learn scuba diving and create a dive center in Djerba to share the beauty of the seabed, the richness of the flora and fauna of the underwater island with tourists. It registers with the Diving Centre Archimede Paris who provides her training, graduated in October 2000 (1 PADI Divemaster internship level 4) in May 2002 (CMAS instructor) in June 2002 (PADI Open Water Scuba Instructor) and February 2005 (Emergency First Response Instructor). Back in Djerba, he decided to realize his dream. Aged 27, he puts all his energy and his work at the opening of the diving center ARCHIMEDE Djerba. This opens the summer of 2003 in accordance with the Archimede Centre of France, who granted him his confidence and the use of its name. 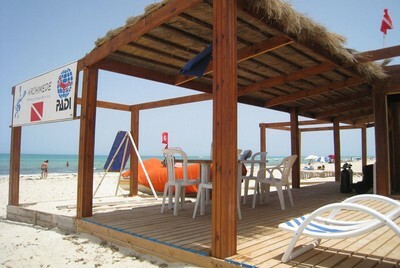 It installs its equipment in private premises of the Hotel Djerba Menzel for three year old. 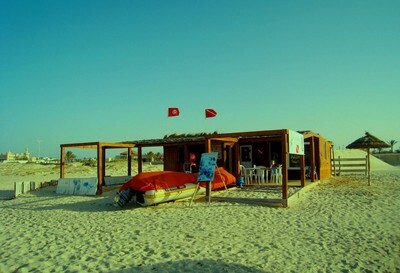 Aziz, who have the desire for greater autonomy, built in 2010, the new premises of the center ARCHIMEDE Djerba between the public beach Sidi Yati 1 and Yati Beach Hotel (Calimera). He did not choose this location randomly but strategically since the center is located as vicinity of the most interesting dive sites! With years of experience, Aziz continues to share her passion and knowledge to tourists. Everyone desires, each his dive. Deep, photo, wreck, drift, night, beach or a boat. Diving in Djerba freely and safely. 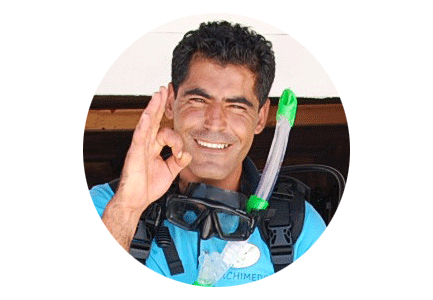 Aziz, diving instructor always in Djerba, guide you on the many dive sites in Djerba. Whether you are already certified or you have never dived, he will share his passion for scuba diving. First dive, 1st level or specialty? All courses are taught using educational materials in English, French, German and Italian, with the greatest respect for safety standards. Archimede Diving Center waiting with impatience for the best dives of Djerba. 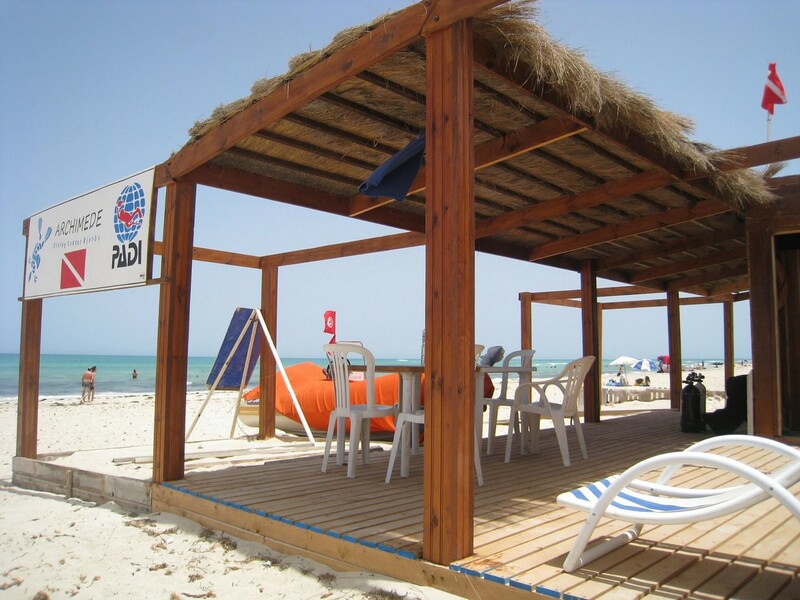 Archimede Diving Center is located on the beach Sidi Yati 1, one of the most beautiful of Djerba. This location was not chosen at random but rather strategically, and the center is as close of the most interesting dive sites ! 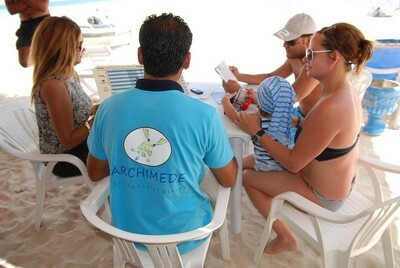 You will always receive a warm welcome on arrival at our dive center Archimede. Our staff, friendly and professional, is available to meet all your needs during your stay with us. 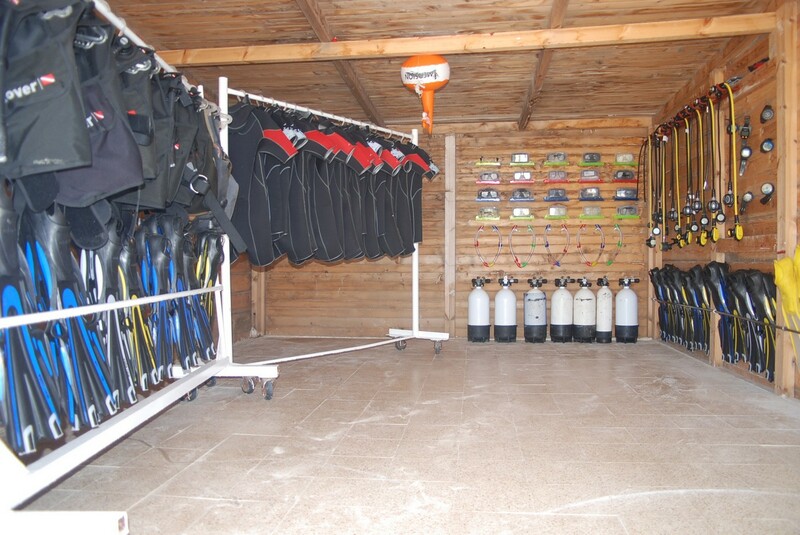 You will always find our staff available to help you take care of your private equipment, or select a custom equipment to make your most pleasant possible dives. The difference: it's the instructor! 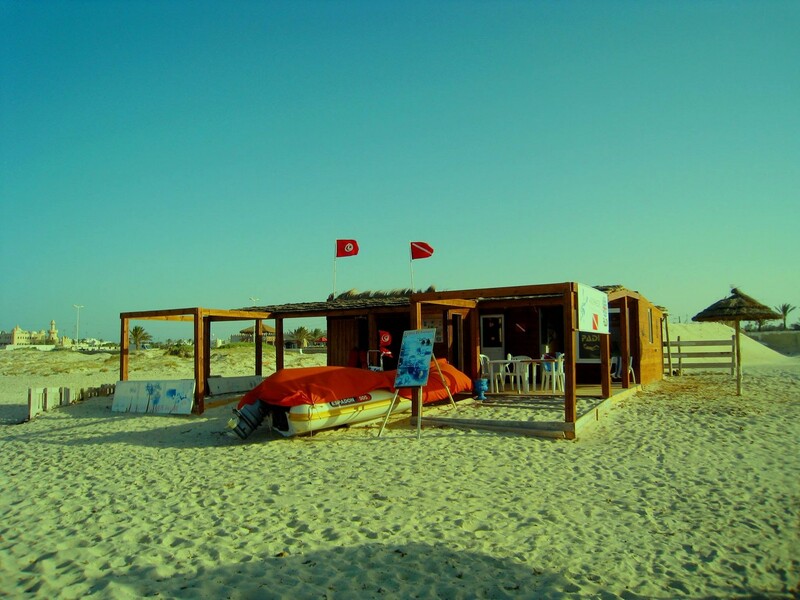 The Archimede Diving School of Djerba offers and teaches two systems of the most popular teams in the world through PADI (Professional Association of Diving Instructors) and CMAS (World Underwater Federation). According to your wishes, travel frequency and approaches leisure we can advise and refer to the choice of the system that you will be more appropriate! This PADI program is for kids. It’s FUN, EASY and SAFE. The dive takes place in our confined training area on our Sidi Yati spot, including arch. This PADI program is the world’s most popular introduction to Scuba Diving. Step 1: Learn some basic principles of diving. Step 2: Get familiar with the equipment during a practice dive in our confined training area. Step 3: An Open Water dive on Ras Taguermess spot. 10% discount on the price of the course Open Water Diver or Scuba Diver, for bookings in the week following the Discover Scuba Diving! If time is limited, this is the best way to obtain an entry level diving qualification. On completion of this course you will be able to dive anywhere in the world, to a maximum depth of 12 metres, with a PADI professional. 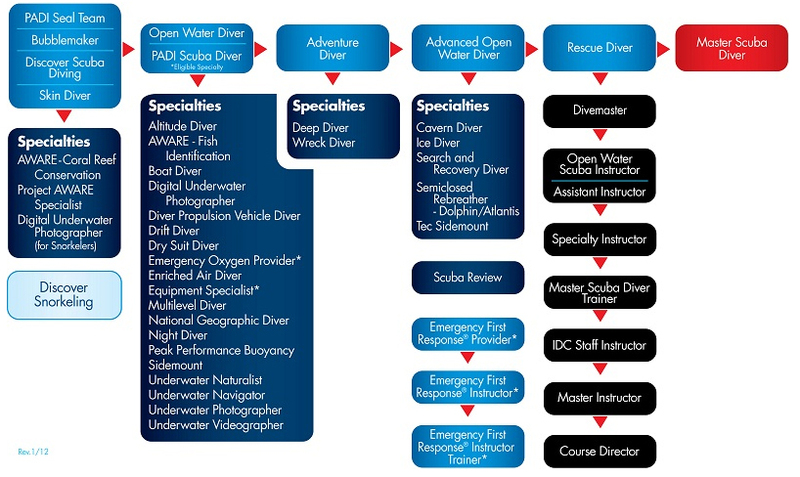 Training includes knowledge development, 3 confined dives and 2 open water dives. The most recognized entry level certification in the world! This course is a continuation from the Scuba Diver course. On completion you are qualified to dive to a maximum depth of 18 metres, anywhere in the world. Training includes knowledge development, 4 confined dives and 4 open water dives. Are you ready for the next level? With your PADI Instructor you complete the deep and underwater navigation Adventure Dives. These dives boost your confidence as you build these foundational skills. 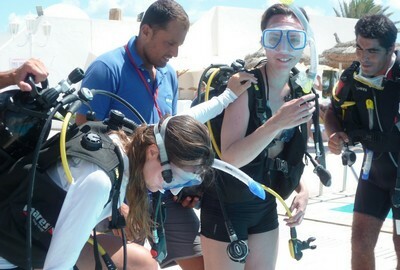 Then, you choose three additional dives from more than 12 Specialities Dives to complete your course. This course will expand your knowledge and experience level. Rescue Divers learn to look beyond themselves and consider the safety and well being of other divers. Although this course is challenging, it is a rewarding way to build your confidence. Rescue Diver training will prepare you to prevent problems and, if necessary, manage dive emergencies. Many divers say this is the best course they've ever taken. Working closely with a PADI Instructor, in this program you expand your dive knowledge and hone your skills to the professional level. This training allows to finish his training course to diving started in his place of residence. A 3 hours flight from major European cities, the Archimede Djerba Diving Center is the ideal destination to finish his PADI diving training course, realizing the natural environment in the last validation modules, while combining relaxation and discovery of our island during a long weekend! Divers wishing to register for this validation must have their transfer card and we give it to their arrival (this form certifies that you have validated the confined water dives and theory, to your place of residence, for example). 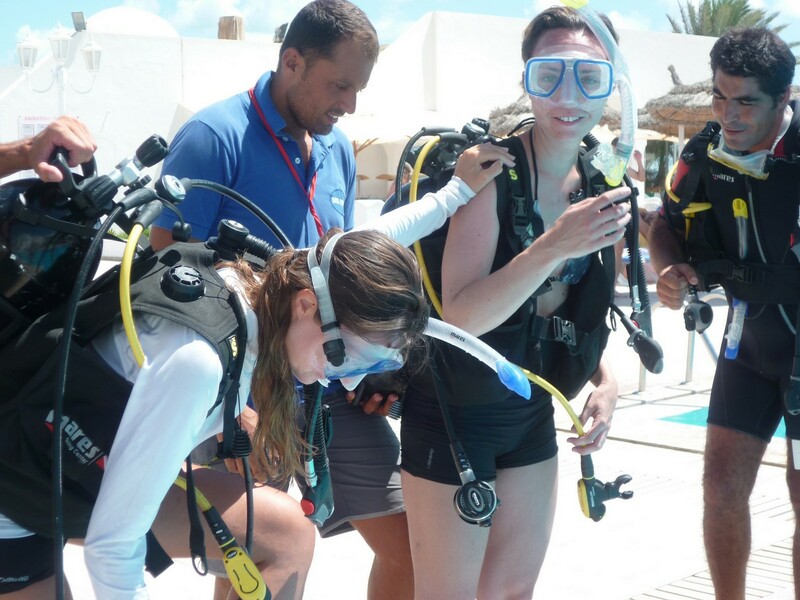 Archimede Dive Center offers a different experience of diving in relation to other Djerba diving centers. Here, no diving teams or overloaded sites, you can enjoy 100% of your dive without being bothered by the crowds other divers. We focus on small groups of up to 4 people (2 or 3 for baptisms / discoveries). Whether you are a beginner or experienced diver, Archimede Center something to offer you. In general, the sea state and currents can perform the relatively easy and relaxing dive. For more experienced divers, you will have the opportunity to explore the wrecks of the Second World War. All dives blocks or fins, mask, snorkel in this area are regulated by Tunisian law. The duration of an exploration output is about 1 hour 45 minutes, diving hard time for a 12 liter block. 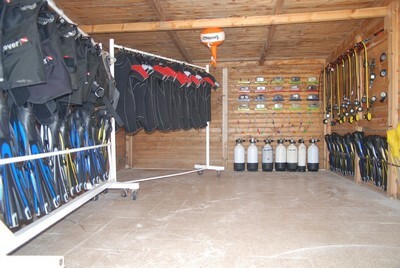 Diving equipment is included in the benefits. The atmosphere of the diving center is so relaxed and enjoyable as you will not want you going when it's time to finish the dive. For proof, we have many loyal divers who return every year. Like a fish in water! While remaining on the surface of the water, come and admire during 1:30 fauna and underwater flora of Djerba, and enjoy the beauty and fragility. A condensed funds submarine Djerba! Under 6-10 meters, discover a sample of fauna, flora and underwater arches funds of our island... and with a little luck, turtles and dolphins. Ideal for getting back in the water! Near the beach, at a depth of 6 meters, we will enjoy quiet underwater arches, and discovering the mediterranean flora. Located 8 kms facing the center and at a depth of 18 meters, we will discover many fish species habitat elected on this wreck of the 2nd World War. 6 kms from the center and a depth of 21 meters, this wreck to discover the many species of fish. Many discoveries are still to do on this wreck. By 27 meters deep and 12 kms from the center, we will discover a wreck 150 meters long. The ideal refuge for groupers, rays and other large Mediterranean fish. the rest of the year on request. Hours: 8:00 to 6:30 p.m.